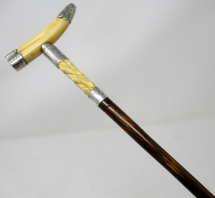 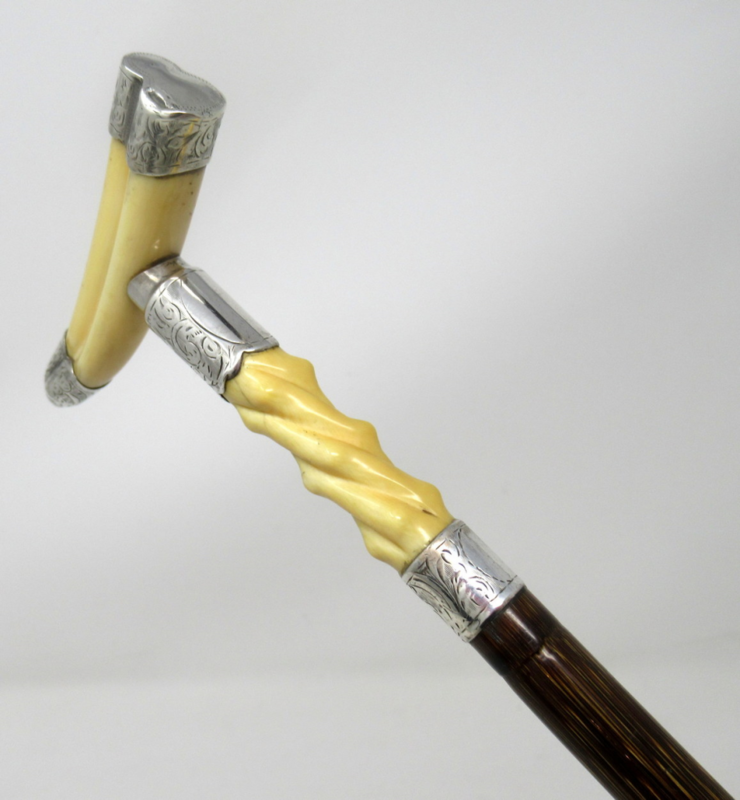 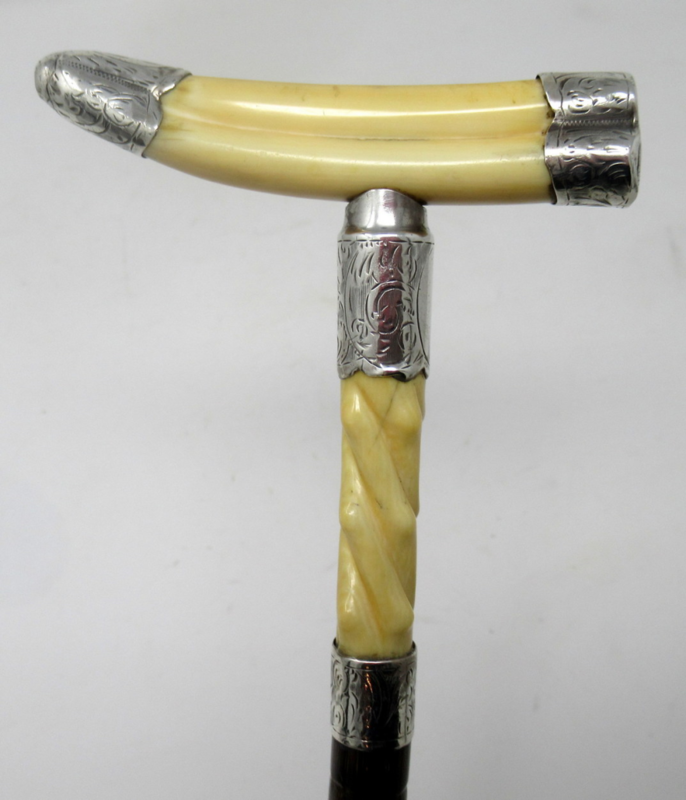 A Very Unusual Ladies or Gentleman’s Ivory Boar Tusk Walking Cane, early Twentieth Century, of outstanding quality. 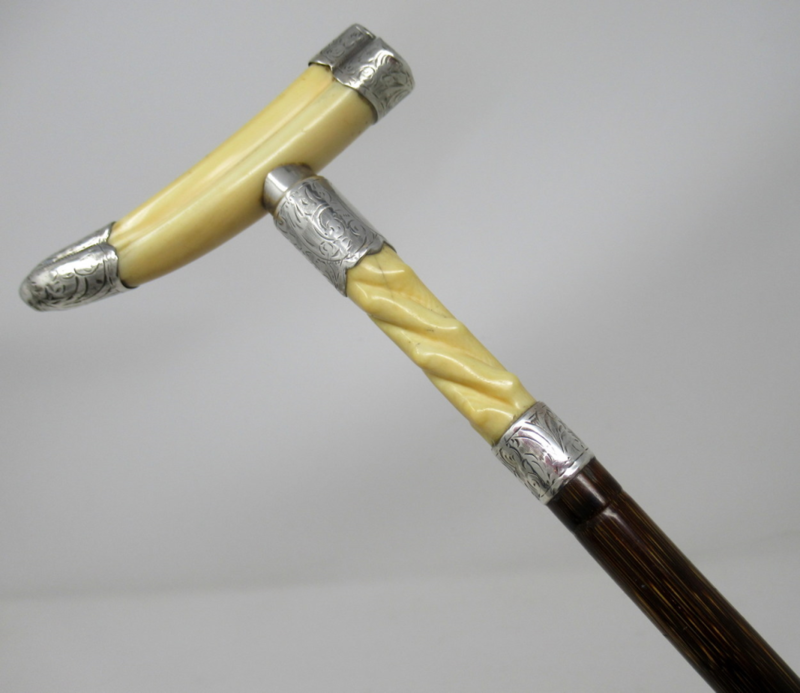 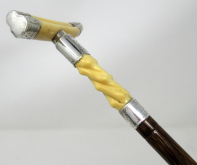 The "hammer" style grip is an actual silver mounted small wild Boar ivory tusk above a twin silver collar with a hand carved ivory inset with chevron style detail, the stylish banded partridgewood shaft ending on a bi-metal ferrule which is a little worn down. 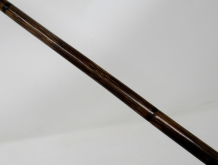 Mark of C.S. Silvermaker. 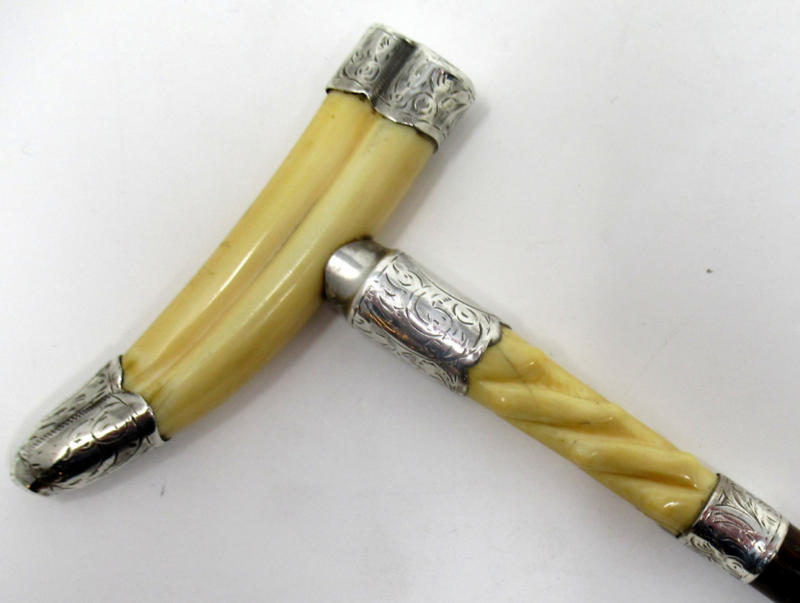 London assay mark for 1904. 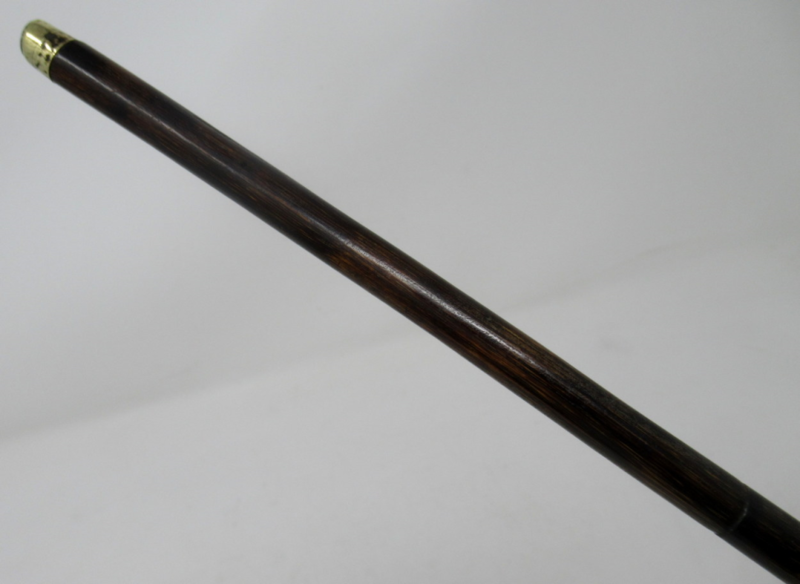 Condition: Good condition, nice surface patination to shaft. 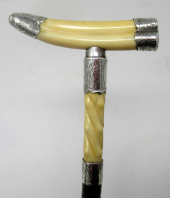 Small hairline shrinkage, see image. 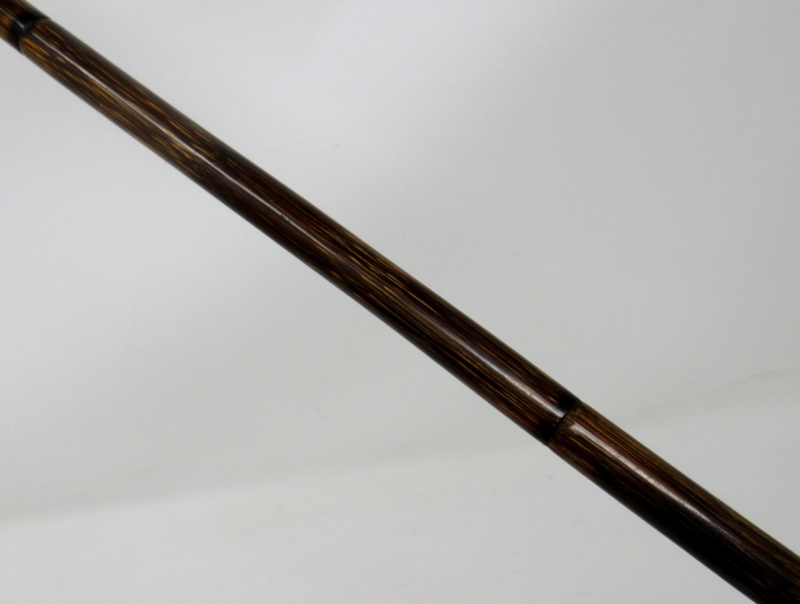 Length: 35.5” (90cm). 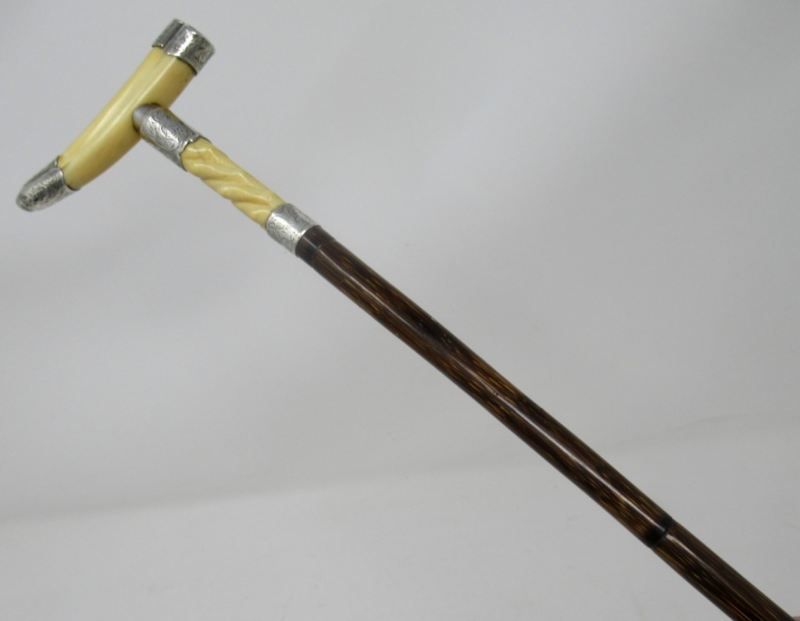 Width: (of handle) 3.5” (9cm).